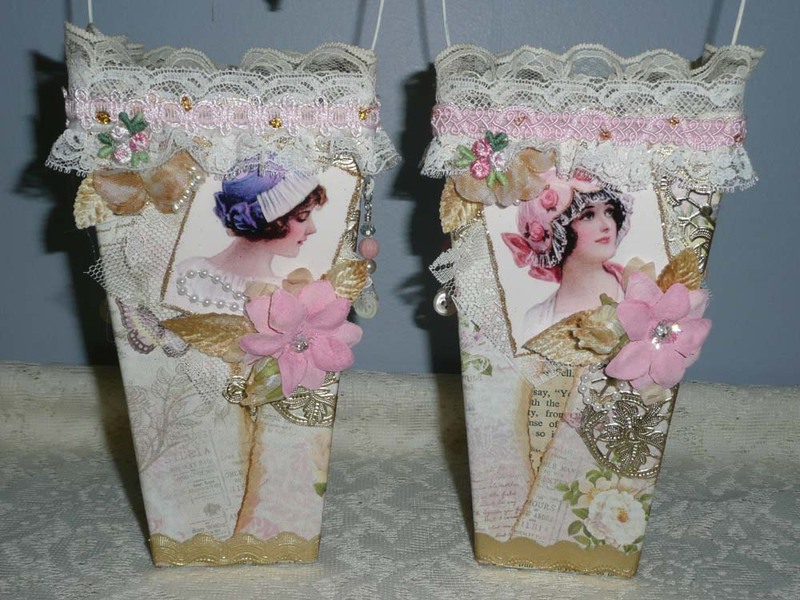 As many of you know, I love to up-cycle, recycle and alter things. 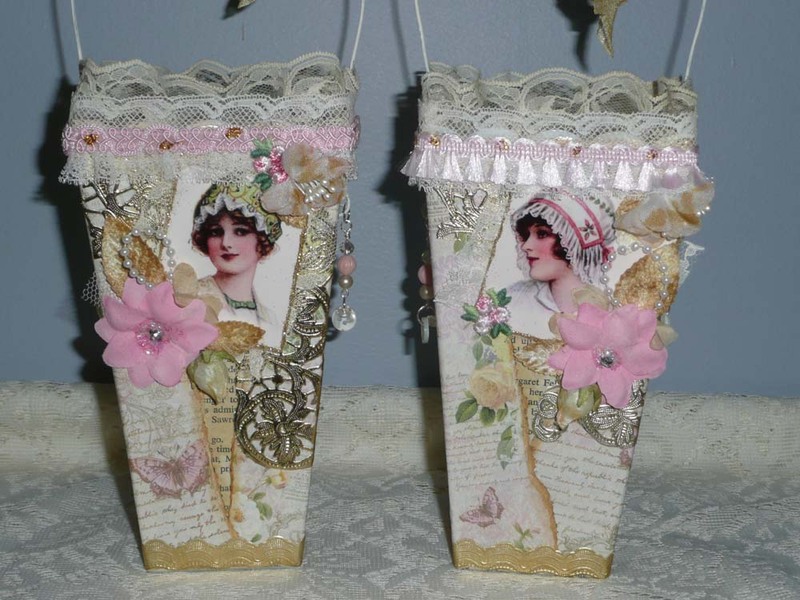 I have altered bottles, jars, boxes, books and all the usual things. I just finished altering something I never gave much thought to before. 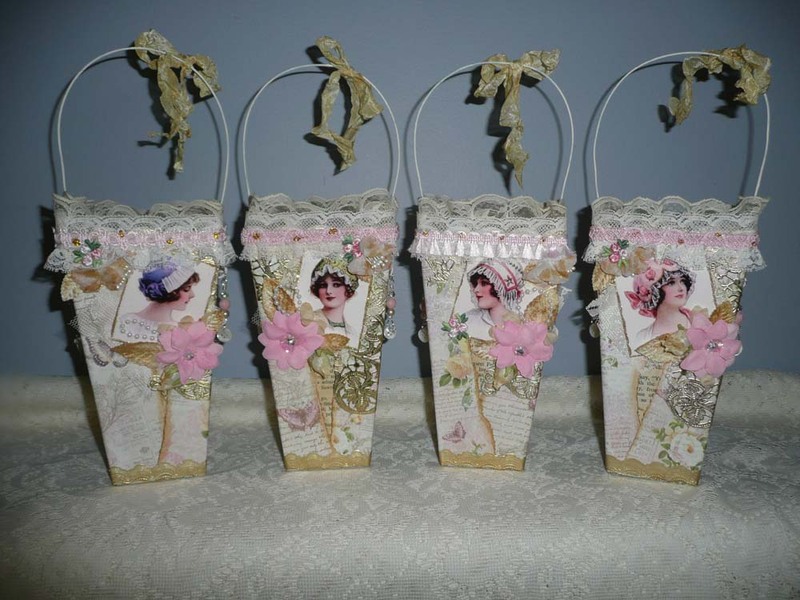 You see, a lovely client of mine from New York asked me to make four May Baskets for her and some of her friends. I looked on Pinterest (any excuse Helen!) to get some ideas since I had never made a May Basket before. A lot of them were made from cones and some were more like paper boxes. I told my client, after she had mentioned cones, that I would prefer to make something a little sturdier that would last a long time. She said she trusted whatever I wanted to do, so off to Dollar Tree I went. After considering every container the store had, and some things that weren’t even containers but could be modified, I came across these…. I know what you are thinking, “Yeah, those four elegant ladies from New York are going to love those!” (insert eyeball roll here) But not to worry. There will be no circus themed May Baskets this year. After more than a week of decoupaging, inking, lacing (as in adding lace), flowering, making charms and, of course, glittering, this is the end result…..
Is that a transformation or what? I must say, I really love the way they turned out and I can’t wait to see what my clients think. And being that I used a plastic they can actually fill them candies, baked goodies or flowers if they want. Here are some close-ups so you can see the details. So the next time you want to challenge yourself to try something new, look out for unusual items to alter. I guarantee you will get unusually good results! You did such a great job! 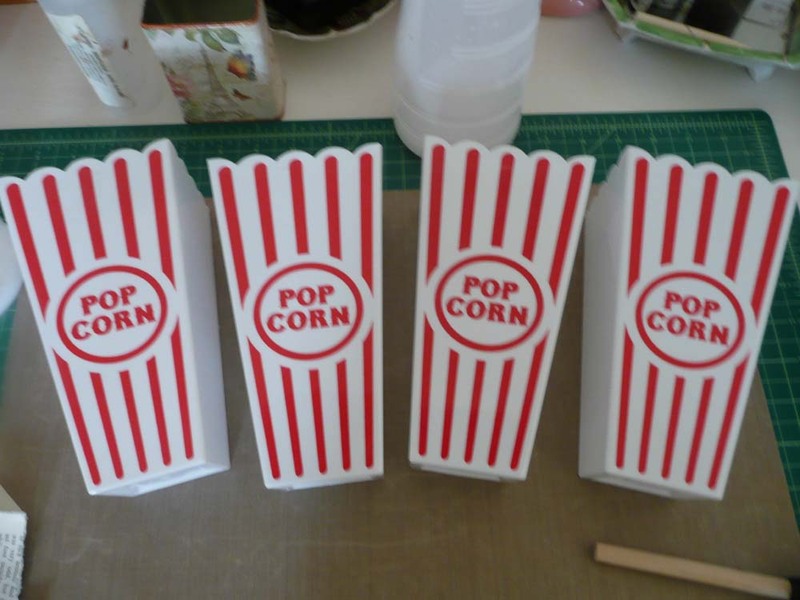 The popcorn containers worked perfectly. I may have to try some. I took some beads and trinkets on our trip last weekend and made a bunch of charms for later use. So Ready to Get Out!